Perception The Complete First Season DVD Review And Giveaway - Are You Screening? TNT‘s Perception has returned for season two, and the series continues from the first season finale in brilliant fashion. The show threw out some big events, opening the door for a variety of next steps, and many that might leap to mind would not seem to continue things in a way that embraces the heart of what we followed in the series up to that point. Such is the talk of the initiated and nervous anyway. 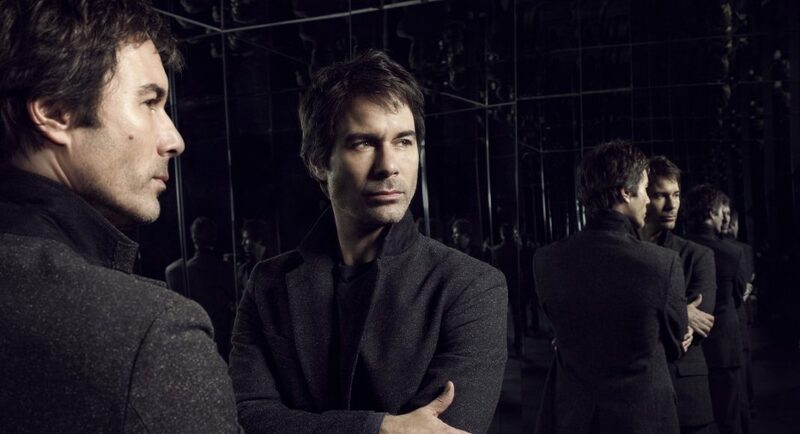 The show stars Eric McCormack as Dr. Daniel Pierce, a genius neuroscience professor who works with the FBI, via agent Kate Moretti (Rachel Leigh Cook) to help solve the most outlandish cases. The spin here is that Dr. Pierce is a paranoid schizophrenic prone to delusions and hallucinations when he’s off his meds, and he’s also prone to not taking his meds… or imagining that he took them. As the show gets underway with its first few episodes, it becomes clear that it aims at a subset of the crime drama genre that has given us such things as The Mentalist, and more recently Elementary. It’s focused at least as much on its quirky lead as on any of the cases being solved, but Perception takes things to a new level. Once we get rolling in the first season, we hardly care at all about the cases, except insofar as they are simply what Dr. Pierce is doing. Lewicki (Arjay Smith), Daniel’s TA and live-in… helper? In a role not often seen anymore, Lewicki mostly wants to be near the genius, and the two bonded when Daniel checked himself into a mental health facility – Natalie (Kelly Rowan), Daniel’s best friend and confidant who is often the voice of reason, and helps Daniel work through his thoughts, though much of the time simply as a sounding board – and Paul Haley (LeVar Burton), Dean of the University where Daniel works, and a long-time friend, who has to find ways to make Daniel’s eccentricities work in the real world. 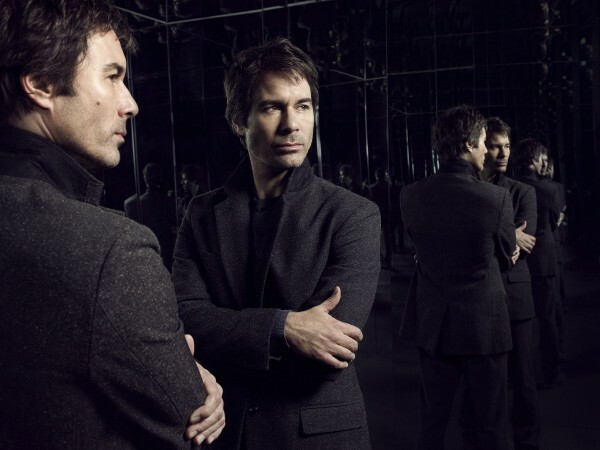 Given the unusual nature of the show, and the extent to which Eric McCormack has to carry the burden, the series opens with an impressive ability to capture the audience. Chalk that up largely to McCormack’s natural charm, and the fact that the writers take a sink or swim approach, as opposed to drawn out establishment arcs. It’s refreshing to run into a show that not only believes in the audience’s intelligence, but also doesn’t feel the need to oversell the fact that it revolves around crime. Perfect for binge watching, this is a great show to catch up on, and one of the very few that are actually worth rewatching. The DVD release has to take a bit of a hit for the lack of bonus features, but it’s still worth picking up, and that’s something I almost never say about bare releases. Below check out some more info, a couple of clips, and enter to win your own copy! 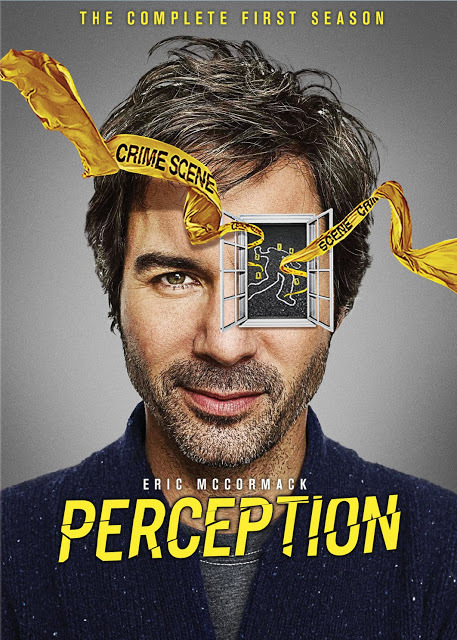 In Perception, Eric McCormack plays Dr. Daniel Pierce, an eccentric neuroscience professor with paranoid schizophrenia who is recruited by the FBI to help solve complex cases. Pierce has an intimate knowledge of human behavior and a masterful understanding of the way the mind works. He also has an uncanny ability to see patterns and look past people’s conscious emotions to see what lies beneath. It’s All In Your Head: Daniel’s hallucinations start to take over his reality as he attempts to solve a puzzle that may only be in his head. Bad With Faces: Daniel proves to the FBI that their suspect has trouble remembering faces.